I started my Christmas baking early because I was having an early family get together last weekend. 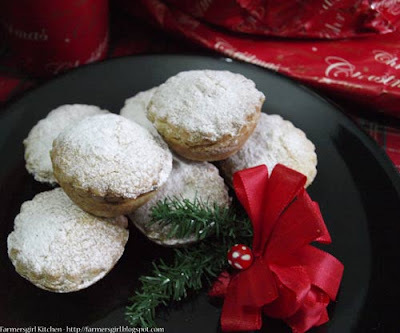 As part of my baking I made some 'Instant Chocolate Mincemeat' and baked it into some teeny mince pies using the brilliant Great British Bakeware from George Wilkinson. 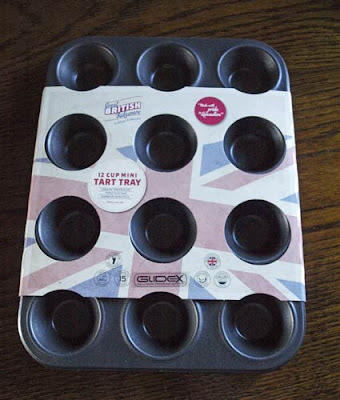 George Wilkinson Great British Bakeware is made in Lancashire and this premium range has an innovative & exclusive long life coating. GlideX is bonded directly onto your ovenware to ensure it keeps performing like new every time. It is scratch resistant, flake-resistant and virtually indestructible. Tested rigorously by Wilkinsons, GlideX outperforms all other non-stick brands. The tart cups are nice and deep so you can get plenty of filling into your mini pies. 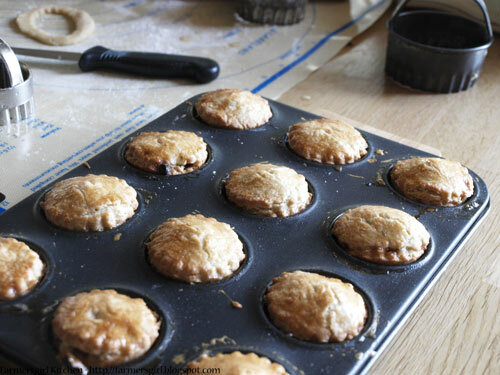 I have found that mince pies can be difficult to get out of the tin, especially if some of the mincemeat oozes out the side and bakes on, sticking the pastry to the tin. This is especially tricky when they are mini pies and they can break as you try to lever them out. I'm pleased to say that this wasn't a problem at all with the George Wilkinson Great British Bakeware mini tart tin. The pies slid out without any problem at all and the tin was easy to clean with soapy water. This is mincemeat that you can mix up quickly using any mixture of dried fruits and nuts you have in your cupboard, the addition of some chopped chocolate, adds a lovely richness to the fruit mixture. Makes approximately 1 medium jar. 2. Lightly grease the tart tin. 3. 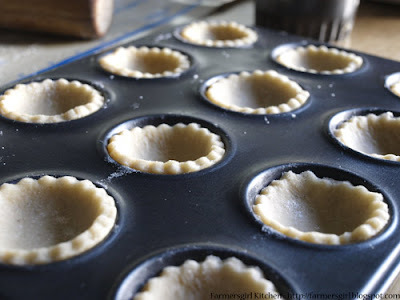 Using a medium pastry cutter, cut out 12 rounds and place them into the tin. 4. 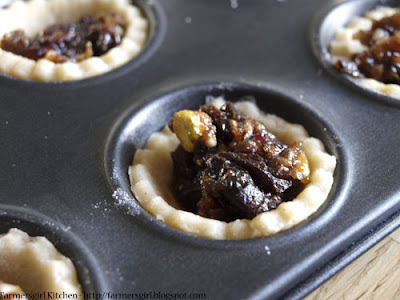 Add a teaspoon of mincemeat to each tart. 5. Using a small pastry cutter, cut out 12 tops. 6. 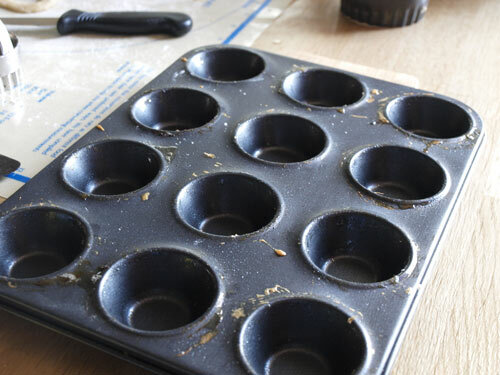 Brush the edge of the bases with egg wash and add the lids pressing down firmly around the edges. 9. Cool for 5 minutes in the tin, then remove to a cooling tray. 10. Dust with icing sugar to serve. These look beautiful and delicious!! Love that pan! Please share at Foodtastic Friday! Very festive looking! I need to try making mini desserts for parties. I've never thought of putting chocolate in mincemeat but it sounds like a delicious idea. I'm making some medlar mincemeat this weekend. Thank you for coming and linking up!! I'm pinning! I've made chocolate mince meat a few times now. What was your verdict of their flavour? I like the choc flavour, have made Dan Lepard version before. Would put some spice in this instant one next time. Adding prunes is a great idea, must try it. I made chocolate mincemeat for the first time last year and it was delicious. I'm really behind with everything this year, so it's good to know I can make instant mincemeat. Your pies look very tempting as does the tin. Those look so, so good Janice. I love your mincemeat recipe too. I am going to try that. 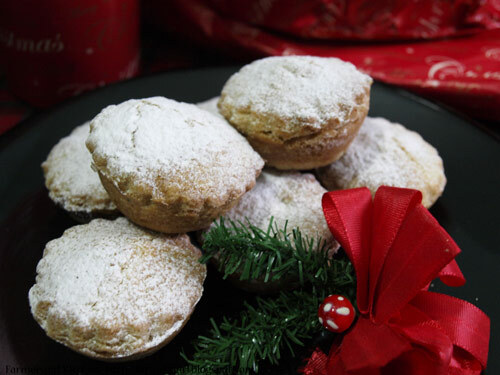 Nice, love mince pies and have never been bothered to make my own mince meat. Will buy some and try this instead.